Region: This insect can be found in the western North America. Life cycle: This Bug produces several generations each year. The adults hibernate in garden rubbish. Physical Description: This 1/4 inch long bug is a gray color with tiny black spots on the head and thorax, and has very large eyes. 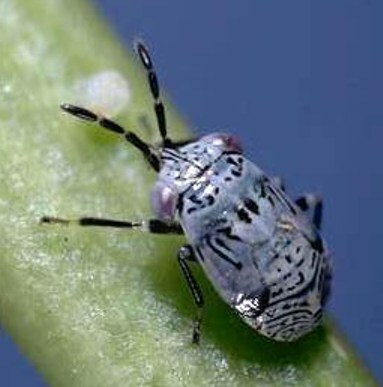 Feeding characteristics: The adult and nymph eat aphids, blister beetles, immature Bugs, Leafhoppers, and spider mites. The adult nymphs and adults have piercing and sucking mouthparts to attack soft-bodied prey. Controls: No controls are necessary.